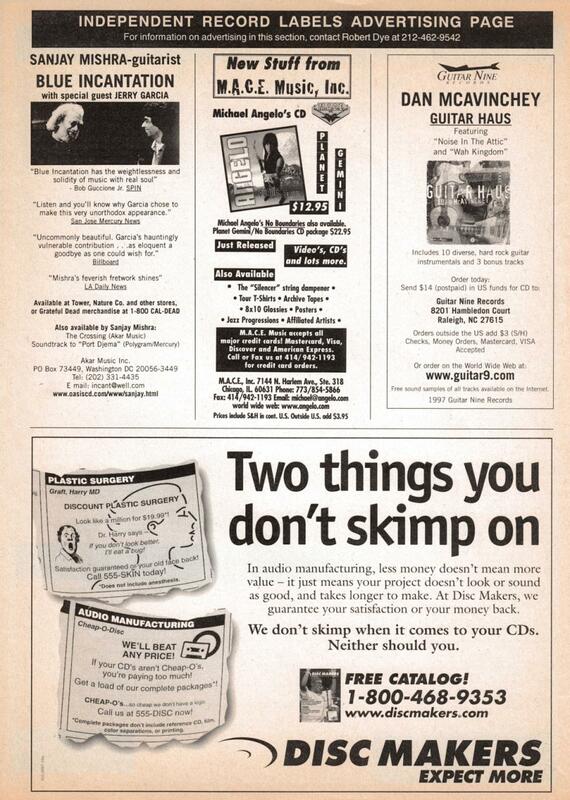 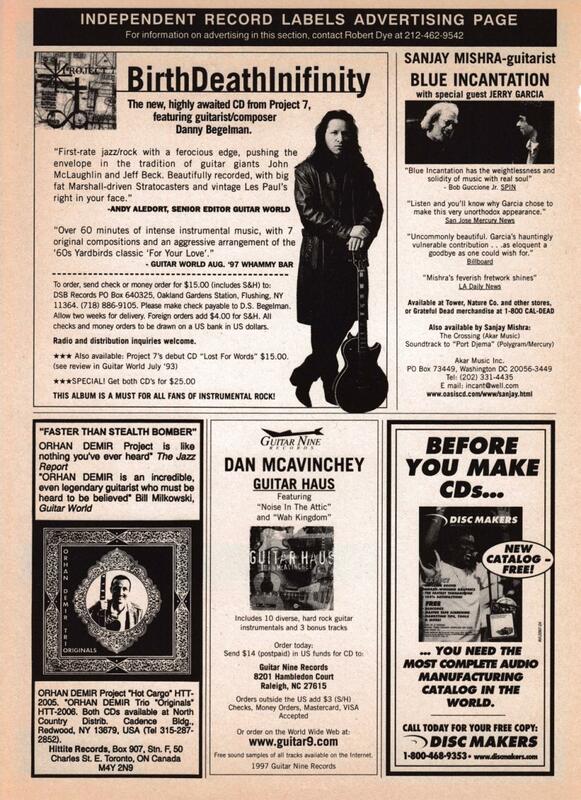 A selection of Guitar Nine (former Guitar Nine Records) print ads from 1997 through 1999. 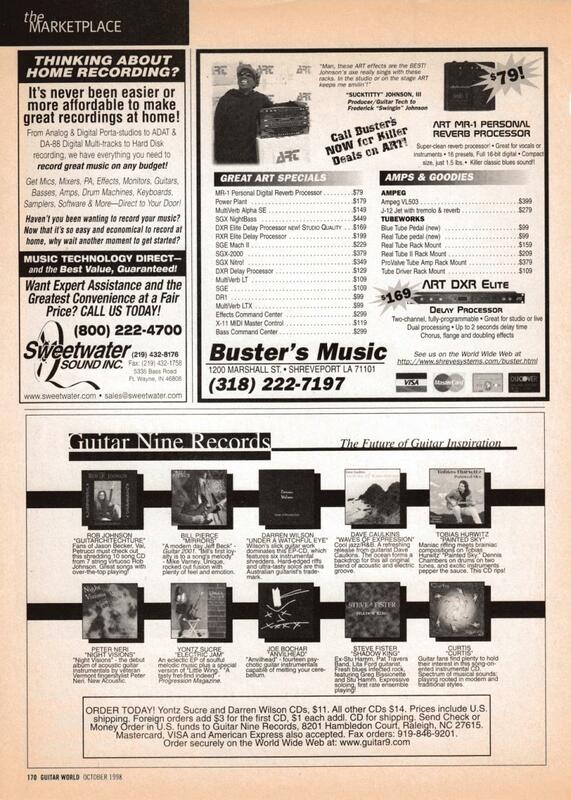 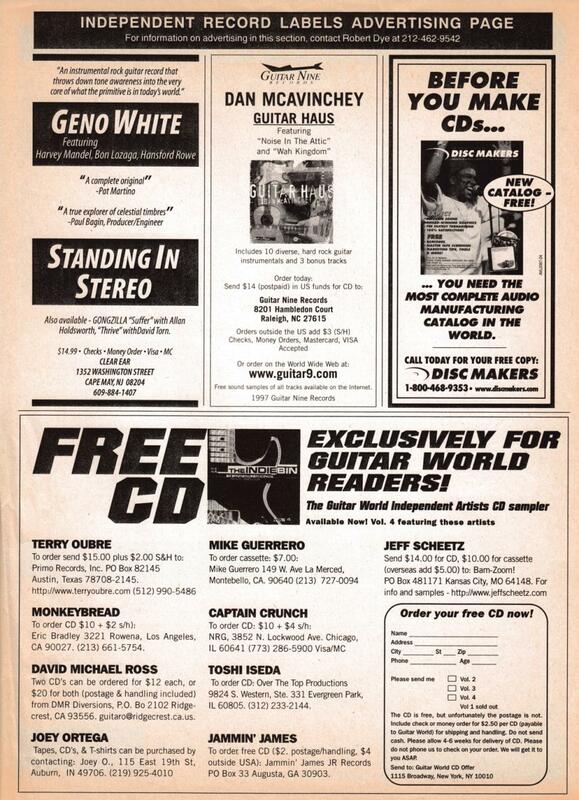 Some of you may remember Guitar World magazine's Independent Record Labels Advertising Page, managed by Robert Dye, which offered bargain rate advertising for small labels in the late 1990's. 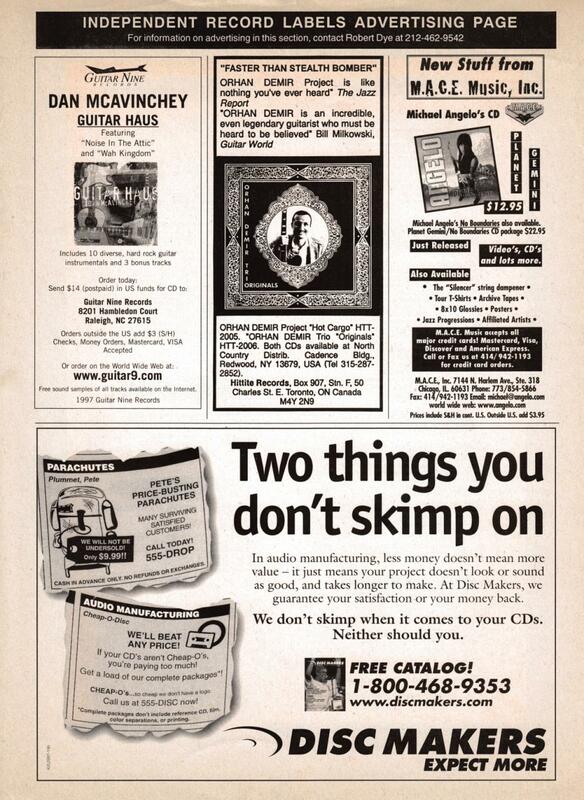 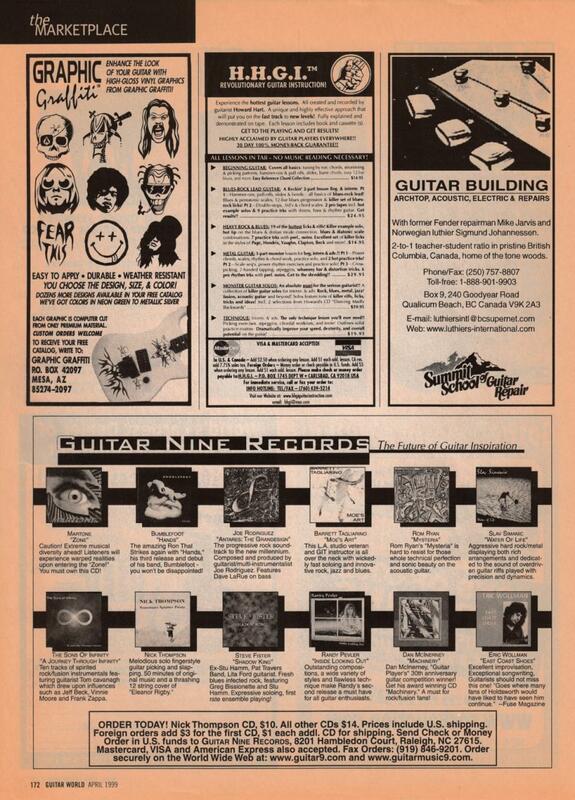 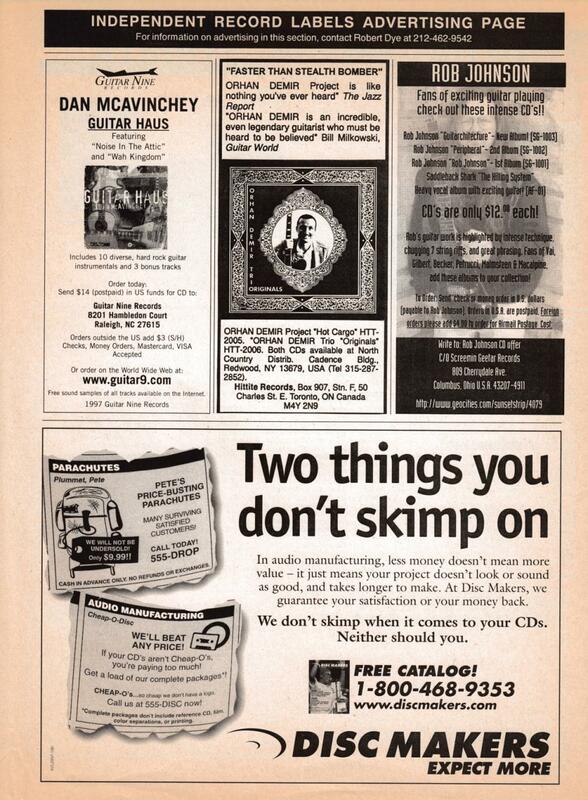 Advertising here allowed Guitar Nine to both sell records directly and bring more traffic to the web site. 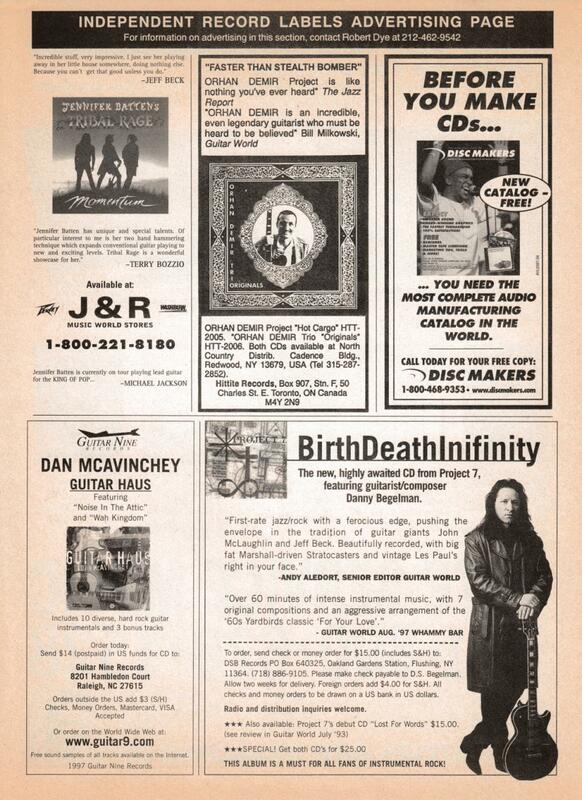 Displaying 1 - 9 of 9. 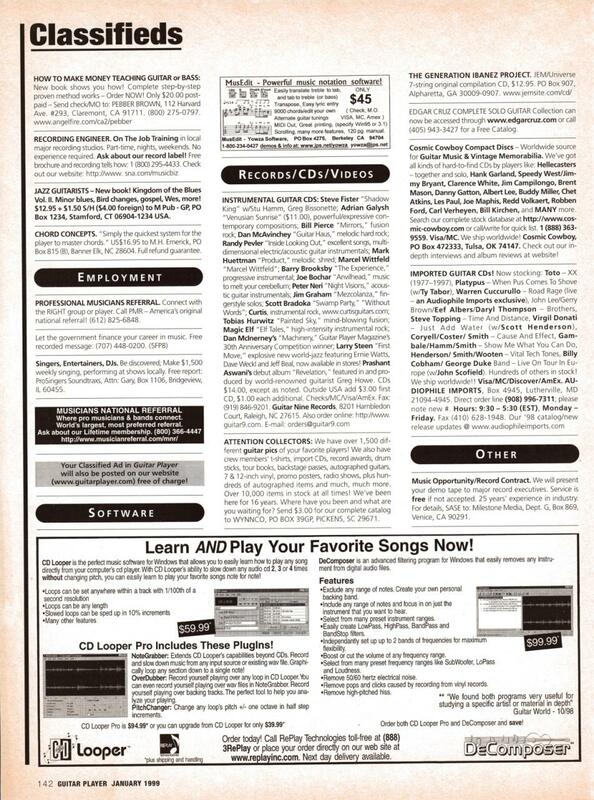 Click any image to begin slide show.